You will receive 200 DVD's and 200 CD's. We will include as many different titles as possible, though you will receive some duplicates. 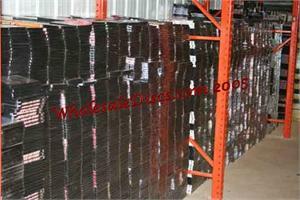 This lot is comprised of virtually all types of CD's and DVD's. This is the perfect small sample lot. The original list price on this lost is approximately $7,000. Get this now for a limited time, just $269 and Free Shipping!